We have all been to networking events where we’ve had a shallow interaction with a prospect, exchanged business cards, and promise to be in touch. The truth is, we never pick up the phone, never connect with them on social media, and never email them. So why is it, when clients are the life blood of any business, we don’t go out of our way to reconnect with these potentially willing to buy clients? Sure, we tell ourselves, “It is because it was only a quick introduction,” or perhaps you think they gave you their card “just to be nice.” Maybe you just don’t feel “comfortable,” but the reality is: you just don’t know where to start. This is exactly why today on Better Business Coach podcast I have asked a close personal friend and iTunes top 100 podcaster, John McIntyre, to offer some advice on how he would re-engage with these prospects with emails that sell. Forget about hacks – Writing emails that engage and sell isn’t about the perfect subject line, the perfect email, or the perfect pitch. It’s about understanding who you’re trying to talk to, what their problems are, and what you need to say to move them on to the next step. Create your elevator pitch, as discussed in session two – Not just to have one (we have already discussed the benefit of that), but to understand who you’re trying to talk to, what you’re helping them with, and what the most common objections are. Find the need – When you go out to networking events, don’t have shallow conversations. Establish a problem they have that you can help with. If they don’t have a problem you can help with, don’t feel bad, remember you don’t need to (and can’t) sell to everyone. Take their card – Ask if they have a business card and request one. 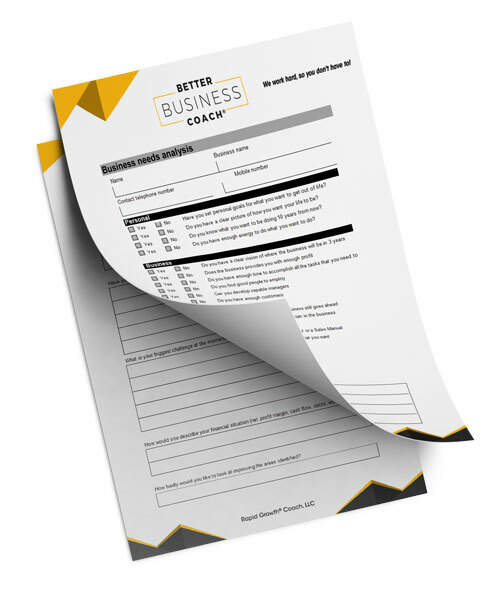 Take good notes – Before you talk to someone else, write the prospect’s problem down on their business card with any additional information you think pertinent. This is vital as most people speak to 5-10 people at each event, but remember very little about any by the time they leave; they just blur together. Body – Hey <Name>, what’s up? I wanted to touch base about (the problem) you discussed at (event). Call to action – Do you want to catch up this week to have a quick chat about it? Don’t people just delete these emails? – There are a lot of articles out there that suggest email is dead and social media is the new hot thing in town. But ask yourself, what is the first thing you do in the morning? That’s right, you check your email and so does everyone else. Sure social media is highly powerful, but your message is also avoidable. Nothing beats an email sitting there in your prospect’s inbox demanding attention. Be honest with yourself: Don’t you read a few unsolicited emails every now and then? Take action – Email is just like all other things; it’s not an art form, you just need to take action. In business there is a communication process. 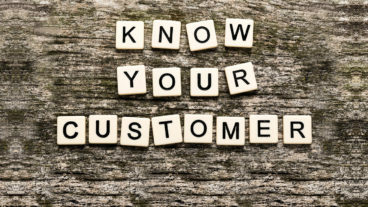 From the point where they don’t know who you are, to the point that they are a customer, there is a certain amount of communication and rapport that has to happen. 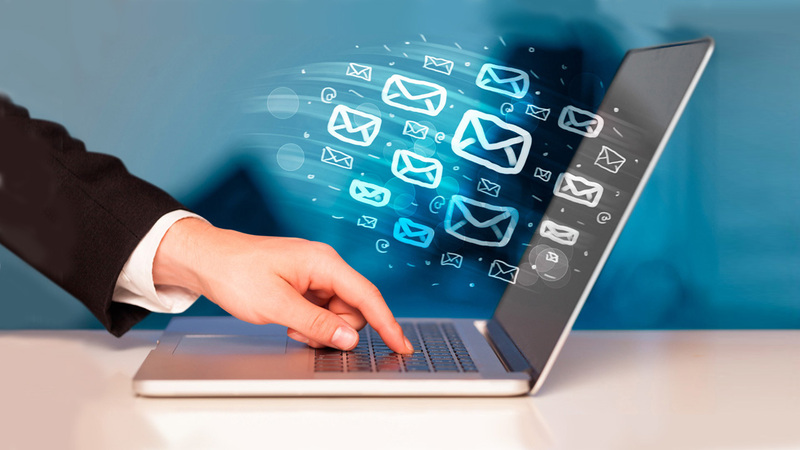 An email can’t be used in isolation; it is part of that process. It’s best not to get caught up in the nitty gritty, it’s just another tool in the arsenal and for many the first step to engaging prospects they would have otherwise never seen again. It’s time to stop thinking day to day. Let’s say you meet, or your sales team meets, 18 people a week. Perhaps you sell to eight, and ten say, “Not right now.” Without an email system to maintain that relationship, even to the people that you sold to, that’s 520 lost relationships per year with people that might buy from you really soon, and 416 lost relationships per year that might take their business elsewhere next time. How many years have you been losing this yearly marketing opportunity? If you’re like me and got out your calculator, these are some very big numbers, but don’t get upset; fix it now and forever! How would you write an email to long term recipients? Subject: Attention grabber. Not just any attention grabber, but one that obtains targeted, specific and relevant attention. Remember: think about their problems. The people you engage will most often have similar ones. Line 1: This line has to get their attention, as well as make them interested enough to read the next line. After they have read the first two or three lines, they will probably read the whole thing. Last few lines: Finish with a call to action. Tell them to do something, like check out your website or hit reply and say that they’re interested. John McIntyre is the star of the Autoresponder Guy Podcast and creator of The McMethod email marketer’s community. He’s a skilled email marketer, online business automation pro and marketing thought leader. How can I find out more about John McIntyre? While you’re there, PLEASE PLEASE PLEASE – leave a review and the star rating you feel this is worthy. This is Better Business Coach, session number 24. Matt: Hello everyone, and welcome back to Better Business Coach. My name’s Matthew Pollard, and as always, I am your rapid growth guy. Today I have an exciting guest planned for you. I have Judy Robinett. She is the author of, “How to Be a Power Connector.” Robinett is business thought leader, profiled in Forbes, Huffington Post, and Boomerang as a super connector. Who uses 30 years of entrepreneurial experience, and connections to accelerate growth, and enhance profitability of public and private businesses. Judy, as a personal friend, I’d just love to welcome you to the show. Judy: Thank you, I’m delighted to be here, Matt. Matt: Now you’ve had a couple of really big weeks, and I’m really excited that we managed to get you on the show. Because your calendar seems to plan and book out very, very quickly. Judy: Yes, I do. It’s been a busy couple of weeks. Matt: It is, and I think it’s got a lot to do with the fact that you are one of those power connectors. You know so many people, and as a result, so many people know of you as well. And I want to get straight into content, and I hope you don’t mind. ‘Cause I just know you’ve got so much to share. 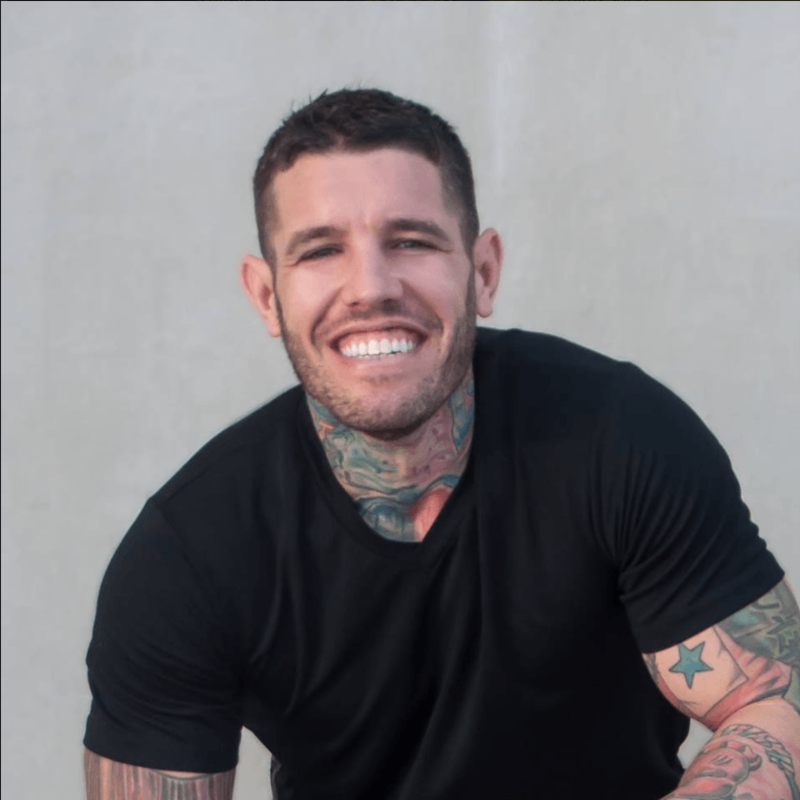 And for business coaches out there, or business owners, they’re really of that, “How do I make connections, and how do I get customers?” And I just know you can offer a lot of value there. So you have those golden rules that you use, that have allowed you to just grow that Rolodex so, so much. And I’d love if you could share those 3 golden questions that you work with, that’s allowed you to get this success. Judy: Absolutely. So it’s really critical for you to realize that there’s all kinds of customers out there that need you. And the number 1 problem usually is people are in the wrong room. But when you get in the right room, which is people who need you, then I have what I call “The 3 Golden Questions.” And you use these all the time with people, and number 1 is – how can I help you? After you’ve established a relationship, and you have some rapport with people, then you can share with them your story, where you’re going. Then the next 2 are absolutely critical. Number 2 – what other ideas do you have for me? And number 3 – who else do you know I should talk to? Now this is how I have several billionaires on my Rolodex. So I grew up in Franklin, Idaho. If any of you saw the movie, Napoleon Dynamite – I went to that same high school. And I was shy, I was bullied in Junior High. I didn’t know anybody of money, power or influence. And I finally learned that the old networking rules are dead, and that I always found as manipulative, and icky, and I didn’t like to walk in and say, “Hi, I’m a coach, don’t you want to hire me?” And I learned if I used these 3 things, that I was able to get in places, have relationships with people that would really help grow their business. Matt: I like to point out that people practice what they preach. How you and I met – is you actually made contact with me completely out of the blue, ’cause you read one of my articles. And you liked it, and you called me. And one of the first things that you did, was you focused on the “How can I help you?” And it put me in the driver’s seat of our relationship, but it also made me feel obligated to actually be interested in you as well. And when we talk about the conversational elevator pitch, which we did in Better Business Coach, session number 3 – that’s what we’re really trying to get people to do. To create that dialogue and that conversation. And you just did it so eloquently. Judy: Oh well thanks. And Matt, I gotta tell you, when I read that article that you’d written for people like me who never really learned sales, and suddenly find myself in a position of trying to learn that skill. And I read that article on, “Here’s some closes you can do.” I went, “Wow, who is this guy? I have got to know this guy.” And so I reached out to you, and I mean you were grateful enough to talk to me on the phone and give me some advice that really helped me personally. Because I’m not into the hard sell, and as you and I talked, you aren’t either. And so I found that really difficult. But in particular, the one that you said, “How can we move forward?” That one I have used to just amazing results, so thank you. Matt: You’re more than welcome Judy, and look, one of the major things about the call that we last had was, it was so great for both of us. I gave you a lot of value, and I know you’ve had some great success out of that. But also, you gave me so much. And I got so much out of that as well. So look, I really appreciate it. And I guess one of those messages that is really important, if we can send it out to the world – is that they should create those networks of like-minded individuals. Because many entrepreneurs, and many business coaches, they get themselves in that silo, where they’re kind of working for themselves. And everybody around them is a friend, a family member – but they all have jobs, and they can get very isolated. And I think that’s the important thing. That if we can send that out, we can really help people create the confidence to create networks like you have, with like-minded individuals. Judy: Yeah, so it’s absolutely critical, and I tell people all the time, “You have to get out of your comfort zone. Because what happens is, you do have your friends and family, and then people who are just like you and work associates. But when it comes time to find people to hire you, or to find funding for your company. Or to find opportunity, so the opportunity to have people of influence and power, and you hit the wall. And it’s because you have not built a network that is robust, wide and deep. And I talk to people all the time about getting out of their comfort zone. So one of the most powerful things you can do is literally to find just a great group. And you need to have a group that has people in it that can offer you help. That are either smarter, or have resources that can help you. And 2 of the things that I’ve seen in the past that have worked for me is volunteer for a political organization. This is how I met my first 3 billionaires, was volunteering for a finance committee for a political individual in Utah. And then I’ll just tell you a quick story. So I met this fellow, and he’d moved to Utah. He’s black, and he’s gay – doesn’t really fit the conservative Utah model really well. And he was hired to be a private wealth manager. And he knew nobody in town. And in less than 2 years, he had this tremendous book of business. Lots and lots of clients, he was happy, making lots of money. And I said to him, “How on earth did you do this? And you came to town and you didn’t know anybody.” And he said, “Judy, I joined the Symphony, that’s where my clients were.” So I would have you think about where are your clients? Where are the people that need your help? And then try to get in the right room. Matt: That’s great information. Not sure if you’ve read, “Rich Dad Poor Dad,” I know a lot of people have, it’s a very popular book. And he talks about having a board of directors you can work with, even as a solopreneur, you don’t have to be a high level organization to have a board of directors that are all focused on your business. And I find that I have the same thing. For instance, you and I talk a lot about different articles in different publications. You’ve been published in places like The Huffington Post, and Fast Company. While I’ve been published in CEO and Entrepreneur. And we offer ideas, and we exchange different things. And we help each other get published in different places. And without having that group think of how to help each other – and I feel like you’re almost on my board, of trying to help me and my organization grow. And I hope you feel the same way. And solopreneurs, a lot of the times just don’t have that. Judy: Yeah, and you do need that, because otherwise you get stuck in your own head. And I can tell you, Jack Welch’s, I love his quote, “Get better reality.” And surrounding yourself with some people that can help you grow your business. And listen, Matt and I were strangers. I mean a month ago, wasn’t till I read his article. And you find that most people in the world are good, and they will help you. Research shows we only talk to strangers 2 to 3% of the time, and that’s where the gold is. I’ve reached out to people on Twitter. I’ve called authors of books, and nobody’s been nasty and turned me down. So it is important, and you can find people that would help you – for instance at a college, a university. You can go to the Association of Corporate Growth. It’s an organization that’s existed globally since 1954, has mid-level executives, CXO level people. Those are all businesses, and many of them are looking for coaches already. Matt: A lot of people appreciate sometimes when I’ll suggest that we have a phone call, or make myself available. And they’ll say, “If somebody that’s as busy as you are, how is it that you can just drop everything and have a phone call?” And Judy, I didn’t know who you were before we spoke. I got an email from you, and I treated it just like anyone else. The reason why we had the phone call was because you asked for it. And the thing is, a lot of people just don’t ask the question. They may have a mentor or somebody that they truly value. Or they might see somebody as a like-minded individual. And as a business owner they think, “Well, I’m either gonna try and sell to that person, or I shouldn’t bother calling them.” And sometimes, these people are feeling just as isolated as you are. And they want to be able to talk, and they want to be able to share their ideas and have somebody to bounce their ideas off. So you actually will provide them huge value as well, just by having that conversation. Judy: Yeah, and you’ve hit a really good point. So a lot of people will call me, and they’ll say, “I don’t really have anything of value, how could I talk to a millionaire? How could I talk to a billionaire?” And the reality is, everybody’s got problems, and everybody also has solutions. So you can figure out how to add value to anybody. I mean at the very bottom, how nice it is just to have somebody listen to you, and care about you. But certainly, we all can figure out how to add value. So Mark Burnett endorsed my book. I didn’t know Mark. And but I knew somebody who had been invited to dinner with him, and so, I found out what he was looking for. And he had just done the Son of God movie, and spent his own money – 16 to 18 million. And wanted to figure out how to do marketing. And so, I did some research, figured out something I could do. Then I found out he was gonna be in Park City, where I’m from. And so, I asked if I could meet with him. Said, “I can help you with this problem.” Well guess what? I ended up going to dinner with Mark. I helped him, and in turn he said, “What could I do to help you?” And he endorsed my book. So every billionaire’s got problems, everybody’s got problems. And all of us have solutions. So it usually is an issue of self-worth. And we all need to learn how to ask. If someone says, “No,” you just say, “Next.” It’s probably not a person that you want in your network. Matt: Judy, that’s a really important point. Because we had J V Crum on the show in session 18 and 19. And he made it very clear that a lot of people are very, very good hearted, and a lot of people really just want to help the world and make everybody successful. And we talked about, considerably, that it’s just because of people’s limiting beliefs that they feel that they have nothing to offer. And this is all going on inside people’s heads. Matt: How did you get over that, and how did you start to believe that you could offer real value to people before you’d achieved all that you have achieved? Judy: When I was in the corporate world, I had grew up believing – much like Rich Dad Poor Dad, that if you just work hard and do well, good things will happen to you. I looked around and I thought, “This is not working.” And I could see other people were were well connected. They had better emotional IQ than I did. And so, I picked up the book, “How to Win Friends and Influence–” folks. And I started saying, “Hello, how are you?” And much to my dismay, I found out people liked me, and that most people indeed would help me if I asked. And that emboldened me to get braver and braver. And I remember the first time I called the author of a book, and I was kinda stunned. They answered the phone, and I ended up being friends. We worked on deals for years together before we ever met. And so you just start small. And I’m now to the point that I can talk to anyone anywhere. And I made it a game. So I was with a friend of mine, pulling up to a restaurant, and I said, “Whoever pulls up next to us, I’m gonna figure out a way to talk to ’em.” And they pulled up, and I looked when I got out of the car, and I noticed they had Idaho license plates. And I said, “Oh, I lived in Idaho, where are you from?” And you literally– So, 2 of the secrets that I use with this is you complement a person, or you ask ’em a question. And that really is the secret of breaking the ice with any stranger. And as soon as you engage a conversation, and you ask a question – then you listen. I mean, if you truly listen with your head, your heart, and your eyes, it’s literally like you pulled the cork out of a bottle, and then you’ll have no problem talking at all. And another secret is, you focus on them. You get out of your head, and make the conversation about them, not about you. Matt: That’s great advice. Dale Carnegie is tremendous. That book itself was tremendous. And one of the things that he really focuses on is just be interested in them. And this is funny, this is a lot of the content that we first spoke about when we first met. And it really is just being interested in other people. So many people say, “How are you?” And then don’t listen, because they’re ready to say something else, or thinking about what they should be saying next. As opposed to being truly interested, and then asking additional, deeper questions about that person. Because you care about what their answers are. Judy: Yeah, and for instance, Matt, I found out that men love to hear about their clothes. So if, your head shot that I’m looking at right now is gorgeous. I mean, your suit is gorgeous, your shirt is gorgeous on there. You’ve taken a lot of time and effort. And how does that make you feel? Matt: It makes me feel great, thank you very much for that by the way. Then somebody to say something like that, and asking me how I feel. Yes, I’m gonna want to talk about it. Judy: Yeah, you look very self-confident, you look very kind. I can see your eyes. But I just tell people. Just simple little things. I mean, if you notice something about a person, if you like their smile, if you – if they look kind. Most people, I think humans are wired, that we obviously need each other. I mean, we’re literally like chickens. We flock together in groups. And so, most of the problem has to do with fear. And you just have to get out of your lizard brain. And I recently learned that in Hebrew, there’s 2 words for fear. And one of them is that lizard brain, what’s (14:30?) your panic and your terrified. But the second one is the good fear of stepping out of – of getting out of your comfort zone. Like the first time you give a speech, or the first time you get a new job. That’s good fear. And so, you need to learn to embrace the good fear, and realize it’s not the bad fear. Nothing’s going to happen bad, nobody’s gonna kill you. No reason to get panicked, this is another human being who guess what? Hurts, has problems, needs help. Matt: Exactly right. Fear is your body’s way of saying, “Run away from a bear. It’s running at you, and you need to go and save yourself.” That’s a great response system to have if you’re living in a cave, and you’ve gotta watch out for bears. However, it’s horrible when you’re just trying to have a conversation, or you want to pick up the phone and call someone, and you feel that you can’t. Because all of a sudden, you’ve got that, “I’ve got to run away from a bear,” feeling happening. Judy: Yeah, and it’s absolutely critical. So I talk to people about strategic networking and how critical it is to have just 25 to 50 quality relationships. You don’t need tons and tons of people. You need good people, 25 to 50. And yes, you’ve probably got some already in your network that you need to mine. But you need to also grow the network so that you have people that are diverse across different industries, across different geography. And robust, that people will return your call. They’ll have your back, and they’ll have your future. I used to say that I only let people in my network who had a good head, a good heart, and a good gut. I finally boiled it to, “Is this person an Oprah or a Martha Stewart?” Now they’re both billionaires, they’re really good at what they do. But if I had to have one that I trust my back and my future, based on my values, I vote for Oprah. Matt: What’s funny as well is, when you asked me about my profile photo – the first thing that I went through in my mind was, “Wow, that was really nice to say.” Even though you were using it as an example. And the second thing was, “Well I actually haven’t thought about that.” I don’t think I’ve ever thought about that. So it really got me to challenge myself, to ask myself the question about how it actually made me feel. Which makes you instantly memorable, even if I’d never met you before. Judy: Yeah. And your clothes look great. It tells me a whole lot about you. So you can tell a whole lot about a person – even following their Twitter feed, or looking at their LinkedIn profile. You can tell a whole lot. It tells me you care about how you look, that you put effort into your clothes – and that tells me a lot. Matt: Brilliant. Judy, look you’ve got so much to offer. And I hope you don’t mind, but we try to keep these sessions to 20 minutes. So what I would love to do, if it’s okay with you, is I’d love to pick this back up in the second episode – and we can just continue on. ‘Cause we’ve got so much more value around what are the biggest problems that people have in networking, or why it’s important. How to avoid mistakes, and how to use networking to propel your career. And I just feel that this is so much value, I’d hate to rush it through. Because I want the audience to get true value from this. So would you mind if we pick up straight away in the next episode? Matt: Perfect, so everybody listening, thank you so much for tuning in. I really do appreciate it. For those that have additional time, I will launch the second episode, or part 2 with Judy – straight away, so that you can just click straight into that. But for those that are on their way to work, I really appreciate you tuning in. Thank you very much, and I’ll see you in the next episode. Cheers.